Apple’s dedication to accessibility also earned the company a 2015 Helen Keller Achievement Award from the American Foundation for the Blind (AFB). This award is given to individuals and corporations who change perceptions about what it means to have a visual disability through either inspirational achievement or groundbreaking innovation. Groundbreaking innovation? That sounds a lot like Apple. 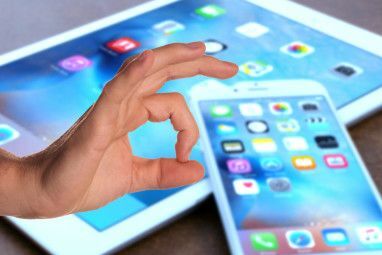 VoiceOver is Apple’s native screen reader software, which allows those with low vision to use all of Apple’s products (including OS X computers, iPhones, iPads, the Apple Watch, and Apple TV) through auditory description of items on the screen. These items may include visible information (such as text and links), invisible information (such as HTML descriptions of images) and additional information requires to navigate the screen (like the number of menu options available to choose from). Descriptions are read by Alex, known as “the voice of Mac.” Alex is more than a simple text-to-speech generator – a lot of effort has gone into ensuring that he speaks as naturally as possible, by having the software analyze full paragraphs at a time (improving word pronunciation accuracy and nuanced intonation), and having Alex follow a natural breathing pattern by pausing between long sentences. Currently, Alex can communicate in over thirty languages. What Sets Apple’s Approach to Accessibility Apart? There is no reason why individuals with any form of disability should be unable to access technology, and the tech world is gradually becoming accustomed to this concept when designing their products. Indeed, accessible technology can be a game changer These Assistive Technology Advances Will Transform Lives These Assistive Technology Advances Will Transform Lives Read More for many individuals living with disabilities, as it can eliminate many of the barriers to participation that they may face. While there are also accessibility apps available for Android Accessibility on Android: Make Your Device Easier to Use Accessibility on Android: Make Your Device Easier to Use Android includes features to make sure that everyone can enjoy their phone. Even if you aren't disabled, the Accessibility menu holds some neat tricks to look into. 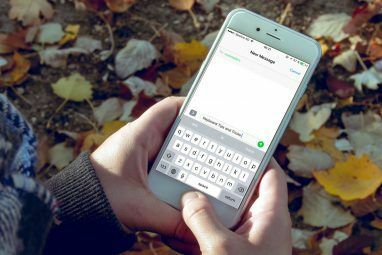 Read More and other operating systems, there are several key features that help to set Apple’s native accessibility apart from other tech giants. Firstly, all of Apple’s accessibility software is available on all of their devices for free. 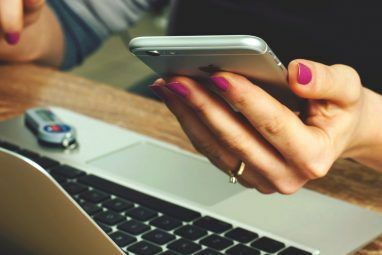 There is no need for users to download additional programs, pay extra fees, or access specific devices in order to use these accessibility features. Secondly, Apple’s VoiceOver is just one component out of their overall accessibility strategy. Both the Mac OS X and iOS devices offer an incredible number of accessibility features A Mac OS X Guide To Accessibility Features A Mac OS X Guide To Accessibility Features Mac OS X has a number of accessibility features built-in which can accommodate the needs of most users. Here’s what they are, and what they do. Read More for individuals who have trouble with hearing, seeing, reading, motor skills, and more. Apple also works to ensure that external accessibility devices How to Type & Click When You Can't Use a Mouse or Keyboard How to Type & Click When You Can't Use a Mouse or Keyboard How do you use a computer when you're unable to use a standard mouse or keyboard? Using specially-adapted software, of course! Read More and third-party software have access to their native accessibility options. For example, Macs have pre-installed software for over 50 refreshable Braille displays, so that they can be used right out of the box. Furthermore, Braille display mirroring can be used to connect up to 32 Braille displays at once for meetings or presentations. How Do You Use VoiceOver? VoiceOver is controlled using gestures and keyboard combinations, and offers some really cool features, including the ability to handwrite letters on your phone or tablet’s screen instead of using the on-screen keyboard, giving a verbal description of what your camera is seeing (e.g. “two faces”), and giving a verbal explanation of your location on Maps. Webaim.org is a great resource for learning specific gestures and controls used to navigate VoiceOver. 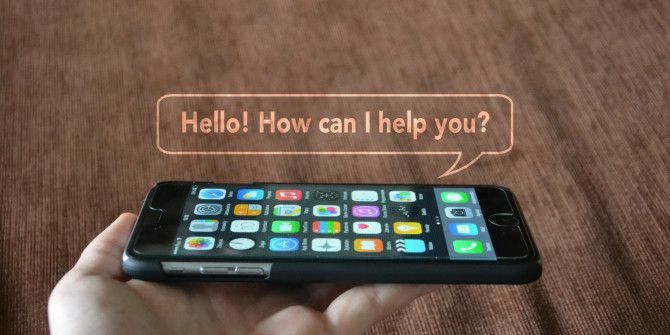 AppleVis is a community of Apple Users who are blind or low-vision that features blog posts, guides, reviews, podcasts, how-tos, and a forum revolving around the use of Apple’s technologies in daily life. YouTube has some great tutorials that demonstrate how effectively VoiceOver can be, as you can see below. Does VoiceOver Have Any Problems? Of course, VoiceOver is still far from a perfect solution for those with low vision. While VoiceOver works incredibly well with Apple’s native apps (including Safari, Mail, and iMessages), many third-party apps remain inaccessible to individuals with disabilities. While AFB has lauded Apple’s efforts towards accessibility, they have also continued to place pressure on Apple in an effort to increase the number of accessible apps available in the App Store. Additionally, much like any software, there are still accessibility bugs present in VoiceOver. While some of these bugs are software based, others have to do with oversights in the design process. AppleVis keeps a list of all currently active and patched bugs on their website. Accessibility features by their very nature cannot be one-size-fits-all, and Apple recognizes that – several pages in their Accessibility overview online ask users to submit any oversights or bugs to accessibility@apple.com or by phone at 877-204-3930. What Apps Currently Work with VoiceOver? Nearly all of Apple’s native apps work almost seamlessly with VoiceOver. In addition, you should be able to access most of your computer’s features while using VoiceOver because of the way that the computer software functions – it’s the apps on iOS that tend to be the most inaccessible. Apple does highlight other apps that have been programmed to work with VoiceOver on a distinct page in the iTunes Store [No Longer Available]. With that being said, there are several more apps designed for VoiceOver that are not highlighted on this page – Paths to Literacy has a list of several VoiceOver enabled apps including alarm clocks, calculators, games, and a GPS app. In addition, Apple’s website highlights third-party apps designed for accessibility that can enhance technology use for individuals with many different kinds of disability. Again, there are more iOS accessibility apps 10 iPhone and iPad Apps That Take Accessibility to the Next Level 10 iPhone and iPad Apps That Take Accessibility to the Next Level In the past, accessibility has been seen as optional or a nice "bonus" feature, but that view is outdated. Here are 10 apps that make life easier for a wide variety of iPhone users. Read More available than are listed on this website – this area of technology is developing quickly and there are many incredible innovations that can be discovered with a little research! Why is Apple Obsessed With Accessibility? It’s hard to separate innovation from profit, but accessibility is one area where Apple has been vocal about their overall desire to do the right thing regardless of monetary gain, and Apple’s leaders have been quite vocal about this. So far, it really looks like Apple is living up to their reputation of making their products accessible, and improving on this technology going forward. From creating one of the first effective touch-screen interfaces for those with vision loss, to providing a resource centre for those interested in modifying their app’s design, and continuing to innovate new solutions to the barriers users with disability face when accessing technology. Do you use any of Apple’s accessibility features? I’d love to hear about your experience, and know what improvements you would make to the software that’s currently available! Explore more about: Accessibility, OS X El Capitan, Text to Speech. Which Mac Makes the Best Server?Why Are iOS Apps Still Better Than Android Apps? I used an ipad air for sometime and i now use a Redmi note 3, and somethings just did not work properly every time, especially after updates on this note 3. i now understand the reasons why. If you are using a Samsung device, will downloading via the Samsung app store give the most stable app for the device and software you are using better than directly from the Google play store? (never used Samsung app store). This isn't Makeuseof's first article on accessibility and technology. I think it's excellent that you feel it's important to publish these, and I will look forward to reading more of them. It's definitely a focus for many of us at MakeUseOf, and personally I think it's one of the most exciting ways that technology is being used right now!